Have you been working on improving your fitness but experiencing setbacks because of injuries to your low back, sacroiliac joint, neck or shoulders? In this 75-minute class, you’ll learn to engage the deep core muscles that support your hips, back, and neck using low-load exercise. 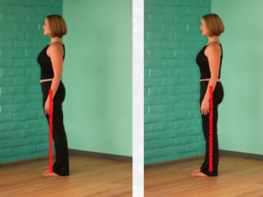 You’ll also learn how functional mobility supports your core using techniques to liberate the fascia of the spine, hips, and legs. Whether you run, cycle, lift weights, swim, ski, or Zumba, you’ll find that going deeper is the strongest way forward.